Last year, Jaden Smith brought his dreads to the Met Gala red carpet. 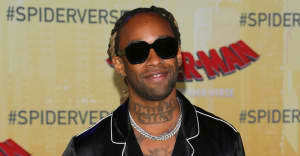 This year, he brings along his gold certification plaque for his great single "Icon." He also didn't seem to bother with this year's Heavenly Bodies theme, as he chose to dress in a Louis Vuitton coat with white jeans and sneeks. 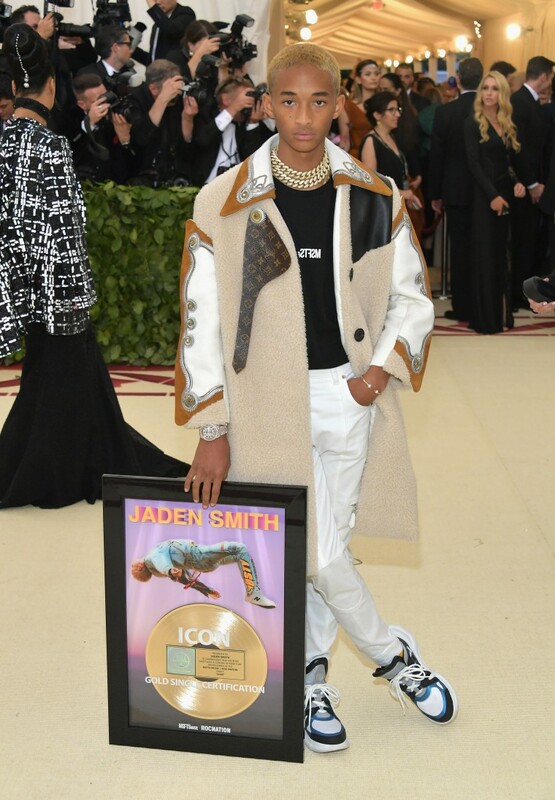 Honestly, I wouldn't be surprised if this move is actually a metaphor for how Jaden's version of religion is himself and his own accomplishments, but I'm probably reading too much into this. We can always expect Jaden to shake things up, and this only makes me wonder what he'll bring with him next year.